MainAll NewsDefense/SecurityWho killed the Har Adar terrorist? Who killed the Har Adar terrorist? Who deserves credit for halting last week's terror shooting? The wounded security coordinator, a policewoman, or a Border Police officer? On September 27, Channel 2 broadcast an interview conducted by reporter Moshe Nussbaum with Sgt. S., who participated in the neutralization of the Har Adar terrorist the previous day. The policewoman described the sequence of events, claiming that she surprised the terrorist from behind and shot him in the legs. However, this is only one version of the story as to how the terrorist was neutralized after he had murdered three Israelis. Some claimed that the aforementioned policewoman, together with a Border Police officer, killed the terrorist (as the police commissioner said at the scene). 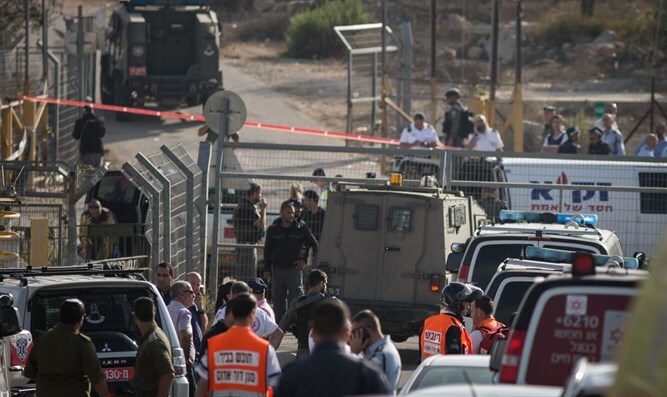 Some attributed the neutralization to the security coordinator of Har Adar, while other outlets said that all three killed the terrorist together. A live report by Akiva Novik on Channel 10 raised questions about the policewoman's performance. "She fired an entire magazine at the terrorist and failed to neutralize him, hitting him only in the leg." In a video released by the police spokesperson, the border policeman stated that he told the policewoman to move aside. He then shot the terrorist six times until he fell. The wife of the security coordinator, Amit Steinhardt, told Channel 2 that her husband had managed to shoot and neutralize the terrorist despite having been shot in the stomach.